Silent Way v2 has received two glowing reviews recently. It takes a lot to blow our minds, but Expert Sleepers has done it again. If you own a modular hardware synth and you don't have Silent Way, you simply aren't getting the most out of your hardware. It's one of the most spectacularly useful pieces of music software ever made. The control voltages generated by the software are, however, sample-accurate, and I found the sense of ‘connection’ with my old synths tangibly better when playing them in real time using Silent Way, as opposed to through my MIDI interface and a MIDI-to-CV converter. A few recordings proved that the synths were much quicker to respond and more consistent in timing. I typically have to audio-quantise analogue bass sequences to get them as tight as I like, but those generated by Silent Way needed no quantisation to feel solidly nailed to the beat. We’re proud to announce our first plug-in in Avid’s AAX format (for Pro Tools 10): Silent Way v2.0.3. Currently available for Mac OS X only, with the Windows version to follow early next year. 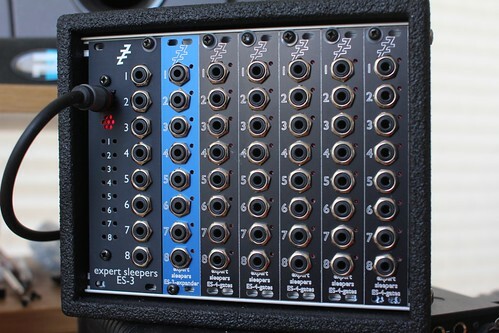 Coming early 2013 - the ES-6 CV/Lightpipe Interface & ES-7 CV Input Expander. - Fixed a crash when attempting to load an unsupported sample file (e.g. mp3). 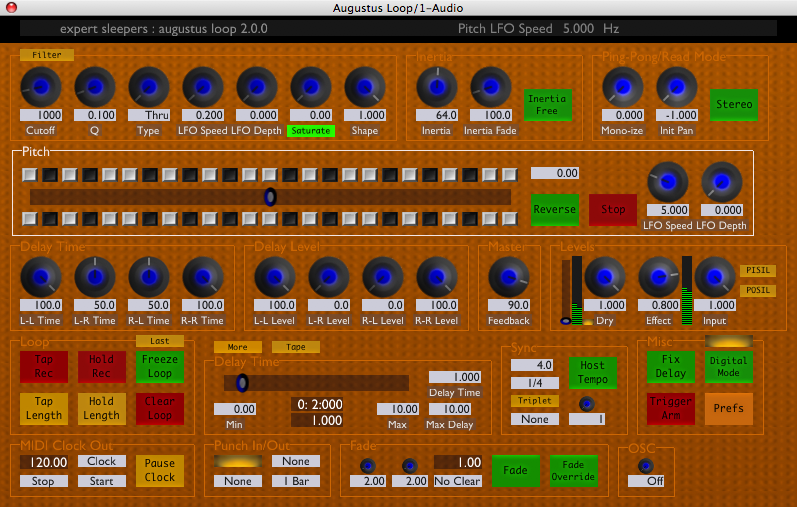 Augustus Loop v2.4.0 (Mac AU and VST) is released. This is a maintenance release that rolls up a lot of minor enhancements and stability improvements to the code shared with Silent Way v2. glow-in-the-dark patch cables on Vimeo. We’re glad to welcome AnalogueZone, based in Budapest, as our latest international reseller. - fixed blank UI problem in Cubase. - Fixed blank UI in Vienna Ensemble Pro. - Fixed inaccessibility of the plug-in status bar (for saving presets etc.) in Cubase Mac 32 bit. - fixed a problem that prevented use of the plug-in status bar (mute, presets etc.) in Cubase Mac OS X 32 bit. - added the ability to skin the colours of the various graph elements in the UIs (e.g. envelope displays). •	Added 5 new plug-ins: Silent Way ES-5 Controller, Silent Way ESX-4CV Combiner, Silent Way Follower, Silent Way Learner and Silent Way Soundplane. •	64 bit support (OS X and Windows). •	Added skinning - fully customisable GUIs. •	Added MIDI learn for easy remote control from MIDI control surfaces. 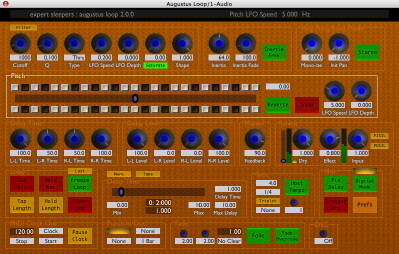 •	Added new OSC control features for trivial setup with popular OSC apps such as TouchOSC. •	All plug-ins are now installed in a single bundle (OS X)/dll (Windows). •	Numerous other small fixes and enhancements. Please refer to the user manual for a fuller list of changes. Pricing: Silent Way v2.0.0 is $59. An upgrade from v1.x is $20. Users who bought v1 in 2012 are entitled to a discounted upgrade price of $10 - contact Expert Sleepers with your serial number for a discount coupon. Special Offer! For a limited time we’re also offering analogue-style delay plug-in Little Spacey for just $10 when purchased with a Silent Way v2 upgrade. Download Silent Way v2 and Licence Manager 1.0.18 (required for upgrades) now from the downloads page. Expert Sleepers Silent Way and Madrona Labs Soundplane on Vimeo. Demo of using a Madrona Labs Soundplane instrument with Expert Sleepers Silent Way and a modular synthesizer. Silent Way v2 beta 5 OSC demo on Vimeo. 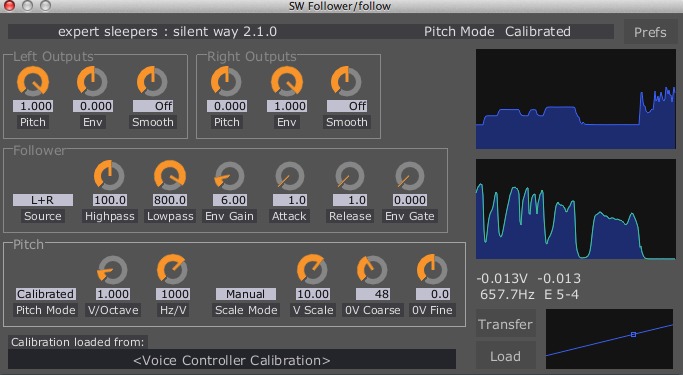 A demo of the new OSC features in Silent Way v2 beta 5. Silent Way v1.7.3 is released. This version adds a workaround to the Silent Way Sync plug-in for a Logic Pro bug which could cause erratic clock output. XFadeLooper CM, a free version of our Crossfade Loop Synth plug-in, is currently available via the cover DVD of Computer Music Magazine Issue 180 (July 2012). Get it while you can! We’re pleased to announce the availability of a public beta of Silent Way v2.0.0. To encourage active participation and feedback, the beta process is being run via the Silent Way forum. Please see this thread for more info, and for download links. 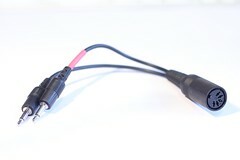 Pre-built adaptor cables for connecting MIDI and DINsync cables to the ES-5 or ESX-8GT (aka the ES-4 Gate Expander) are now available to buy direct from the Expert Sleepers store. We’ve added a ‘Module Overview’ page to the site, to give a quick comparison of the various Expert Sleepers CV interface modules. If you’re unsure which is the right choice for you, this would be a good place to start. We’re pleased to release some preliminary information on the forthcoming ESX-4CV module, which you can read here. 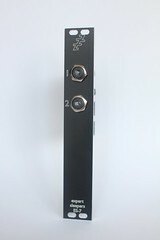 The ESX-4CV is an expansion module for the ES-4 or ES-5, adding four CV outputs from one expansion header. 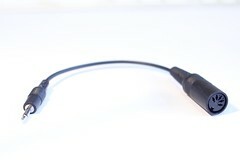 Expected to be available early May 2012. The ES-5 module, which adds extensive expansion options to the popular ES-3 module, is now available. Please check the Where To Buy page for links to retailers who stock Expert Sleepers hardware. This version adds ‘Accents’ controls, allowing ES-4 Gate Expander outputs to operate in pairs: a normal trigger, and a velocity-switched accent trigger. This is extremely handy when triggering drum synths/modules with accent inputs (e.g. the TipTop Audio 808 range of modules, as in the video below). 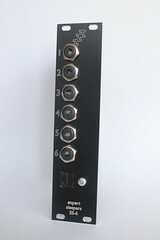 Announcing the ES-5 "ES-3 Expander"
We’re pleased to announce the ES-5, an expansion module for the Expert Sleepers ES-3 Lightpipe/CV Interface. 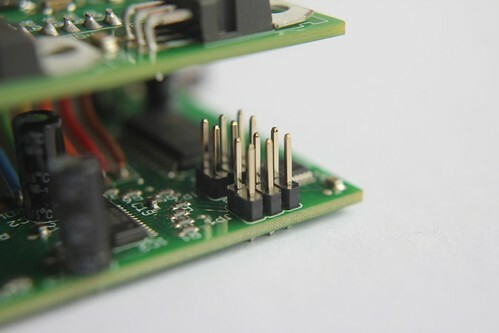 It piggybacks on one of the ES-3's stereo channels to provide eight gate/clock/sync/MIDI outputs on the ES-5 itself, plus further expansion headers to connect up to five ES-4 Gate Expanders. Expected to be available late March 2012. We’re happy to announce a special offer in conjunction with Pittsburgh Modular to celebrate the release of their all-in-one modular ‘Foundation’ synth. The Foundation is a fully modular, eurorack, analog synthesizer. A patchable system styled after the great monosynths of the past with no hardwired signal path or fixed voice architecture to restrict creativity. Driven by two wide range analog oscillators the Foundation produces a huge, warm sound that can't be matched by digital or VST synths. All of the elements of a classic voltage controlled synthesizer are available as an open, patchable, modern synth. Each Foundation sold will include a coupon for 10% off all Expert Sleepers software, subject to Silent Way being included in the purchase. Silent Way makes an excellent companion to the Foundation to provide everything from simple CV/gates for sequencing to complex LFOs to expand the range of modulations possible with this synth. To take things to their logical conclusion, swap out the Foundation’s MIDI/CV module with an Expert Sleepers ES-3 or ES-4 to provide even more control options. We’re happy to announce a small update to the ES-3 Lightpipe/CV Interface, which will be known as the ES-3 mk2. The ES-3 mk2 is identical in every way to the original ES-3, except for the addition of a couple of expansion headers on one of the PCBs. What will these connect to? Expect some announcements soon. The ES-3 mk2 will be available from all the usual sources just as soon as we can ship them out, with a choice of black aluminium or black acrylic panels. ES-4 named in CDM's "Greatest New Stuff In Eurorack"
The rather excellent Create Digital Music blog published an article at the end of 2011 entitled “Modular Mega-Roundup: Some of the Greatest New Stuff in Analog+Digital Eurorack for Musicians”, which we’re proud to say included the Expert Sleepers ES-4 module. Read the full article here.